Green tea extract is a great supplement for your immune system, overall health, and general weight loss. But are there any negative effects from taking it regularly? As one of the most studied beverages out there, green tea is a popular drink for those that wish to stay lean, reduce risk of illness and lead a healthy lifestyle. However, enjoying a whole cup isn’t always practical – that’s why we extract the greeny goodness. Green tea extract is essentially a concentrated form of the original. All the goodness of a whole cup can often be found crammed into one capsule, making it an awesome alternative. So we thought we’d give you a truthful breakdown of green tea extract consumption – the good, the (not really) bad and the (far from) ugly. That bitter, yellowy brown colored tea you’re currently drinking is called green tea. It comes from the leaves of the Camellia sinensis plant. The only difference between green and black tea is that black leaves are left to oxidize and don’t begin to change color. Because it’s pretty much in its natural state, green tea is loaded with bioactive compounds, probably the most important being polyphenols. Green tea is high in tannins, catechins, and theaflavins to name just a few healthy compounds. And around 80% of those catechins are from a compound called epigallocathechin-3 gallate (EGCG). More on EGCG later though because that’s an important one for weight loss. Green tea is practically a multivitamin it contains so much goodness. You’ll also find a small amount of caffeine at around 20-45 mg per cup. That’s between a quarter and half of what you’d find in a cup of black coffee. That’s enough to give you some ‘get up and go’ without majorly crashing once the caffeine wears off. As already mentioned, not everybody has the time or the stomach to drink a whole cup of tea. That’s why scientists developed a way of concentrating green tea down into an easy to consume form. Plus, not everybody likes the taste of Camellia sinensis. Depending on the quality of the leaf and how long it has been brewed, green tea is synonymous with being bitter. With green tea extract, it’s very easy to control taste. Supplement manufacturers often package green tea extract inside a capsule, bypassing the taste buds altogether. 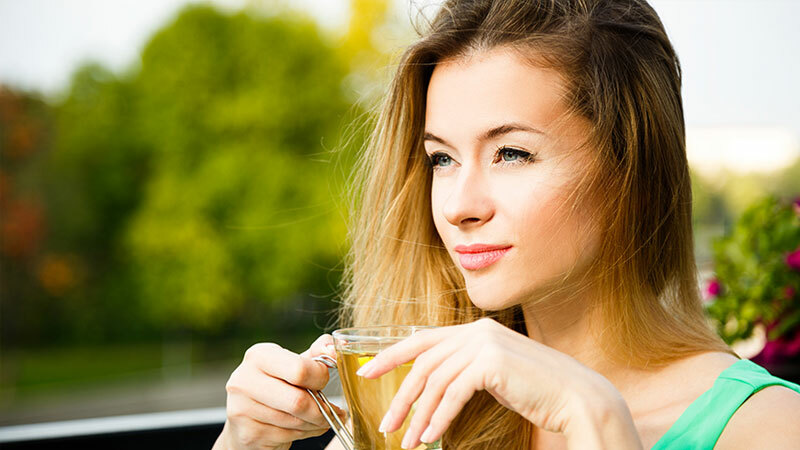 The most appealing and impressive feature of green tea extract is dosage. As a concentrated form, it can be much more potent. 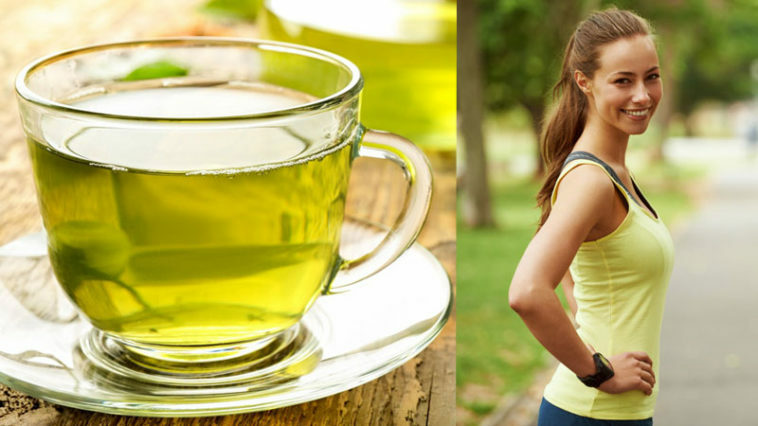 A great green tea extract serving could offer the same benefits as numerous cups. We’re huge fans of green tea at SpotMeGirl. If you don’t find us in the gym out-lifting the guys you’ll catch us chilling in the office, drinking our tea and talking about exercise and diet. But why is it so good for health? One of the main reasons we like our Camellia sinensis tea extract at SpotMeGirl is that it helps to keep us lean and trim. Most of these benefits are down to EGCG, the polyphenol compound found in catechins. It’s one of the most biologically active health compounds around. The number of diabetes and high cholesterol suffers is on the increase. You struggle to metabolize sugars if you’re diabetic. And have high levels of fats in your blood if you have hypercholesterolemia. Green tea provides a metabolic benefit as it helps to re-sensitize you to sugar again, preventing your insulin levels from being jacked up each time you eat something sugary. And if you’re at risk of diabetes but haven’t currently got it, it helps to protect you from the dangerous illness. In one study, those that consumed 6 cups of tea each day were nearly 40% less likely to suffer from diabetes. Fortunately, green tea extract offers a way to enjoy all these positives without all the liquid. With heart disease being one of the top killers in the modern world, it’s important that you do all you can to keep your vascular system ticking along at full health. Green tea provides a cardio-protective effect that has been seen in numerous studies. There’s a big correlation between those that drink at least 5 cups of the beverage once per day and significantly lower risk of heart disease. There is a huge bank of research that shows polyphenols can decrease the growth of cancerous tumors. And while it’s early days, it’s still promising. Are there any negative effects with green tea consumption? The first point to make here is that green tea is by no means bad for you. There are some people that might have a lower tolerance to the caffeine in it. Maybe others that don’t like the taste… but it’s a completely healthy drink to consume. Let’s be right – water is bad for you if you drink too much. So is fruit juice. Or coffee too. Not everyone lives their life off caffeine. We do, because a good hit of caffeine before the gym will help you boost fat loss, athletic performance and even focus and concentration. Some people have a very low tolerance to caffeine. It can make them feel jittery, nervous and anxious. But let’s be honest here – you’re talking a lot of green tea before you get to that level. Remember, it’s got less than half the caffeine of a cup of coffee. 400 mg of caffeine per day is a safe amount for most adults. That’s an easy 10 cups of green tea – a fair amount even if you were to try and drink as much as possible throughout the day. However, the amount may be considerably less for green tea extract capsules. 400 mg is above that of even a premium green tea-based fat burner supplement, which has a fat melting 350 mg of caffeine it. Like any food or drink; if you have that little bit too much you’ll probably end up with an upset stomach for a short period of time. No one really knows why this affects a small number of people. It might be the caffeine, or possibly the polyphenols. It could even be the lactose if (for some ungodly reason) you decide to mix green tea with milk. Luckily, most people are absolutely fine. The best way to stop stomach upset from happening though is to not drink green tea on an empty stomach. Alternatively, stick to green tea extract capsules taken with less water. If you’re currently on prescribed blood thinner medications it might be worth limiting your green tea extract consumption throughout the day. That’s only because it might have an effect on blood volume or blood thinning illnesses. If you’re thinking of taking a green tea extract supplement, contact a doctor first. Whilst you’ll most likely be safe if you follow the recommended dosage it’s a good idea to check. If you suffer from anemia it might be worth limiting your green tea intake to safe amounts below a tolerable limit. It’s the same for most caffeinated drinks though. So coffee and cocoa also present the same potential issue if you have a problem synthesizing iron. If you’re fit and well and eat a diet rich in nutrients such as iron you have absolutely nothing to worry about at all. Foods such as those high in vitamin C will keep you more than healthy while drinking your green tea. And that’s a healthy combination too. Drinking green tea between meals rather than during will allow the iron from your food to make its way into your body without a problem. Always follow the suggested serving guidelines when taking a green tea extract supplement too. 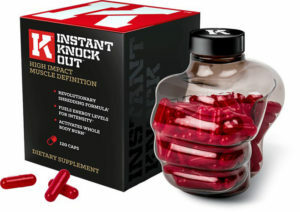 When it comes to a full body fat burn, weight loss, unlimited energy and a more confident you, Instant Knockout is our number #1 rated fat burner supplement. Clinically dosed to get the very best results, this fat-burning, figure-shaping supplement is packed with green tea extract, glucomannan and a full range of other potent weight loss nutrients.